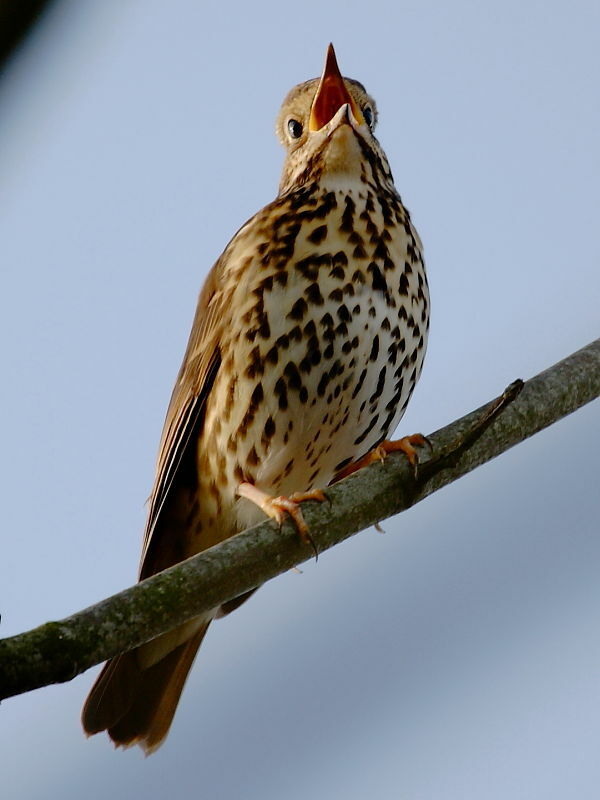 This morning the sound of this singing Song Thrush in the garden was the best early morning alarm call possible. Maybe, spring is finally on its way. Insight into Song Thrush (Turdus philomelos): a common bird throughout most of the UK although its numbers have declined dramatically with the increase in intensive agriculture practices. It is probably best known for its repetitive vibrant song and its habit of cracking open snails on stones.